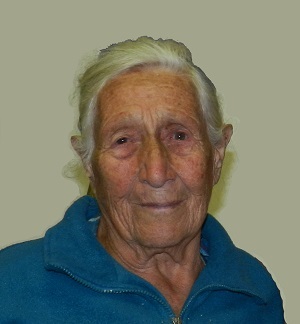 Obituary for Tristan da Cunha islander Bridget Green, who passed away 4th December 2017, aged 87. We regret to announce the death of Bridget Frances Green who passed away aged 87 on Monday 4th December 2017. The funeral took place the following day. Bridget was born on 30th March 1930 to Ned and Dorothy Green (née Glass) and was one of six siblings. She married Darcy Green on 4th October 1951 and had two children, Frances and Albert. At the age of 31 Bridget was evacuated along with other islanders to Calshot in England where she worked in a chicken factory for two years before returning home. Bridget loved England and you would always hear her reminiscing about the good times she had and how much she would love to go back there again. Bridget was a caring and lovely person who always greeted you with a warm smile. She will be greatly missed by all who knew her. She is survived by her son Albert, sister Margaret, daughter in-law Marion, son in-law Barney, grandchildren Adrian, Nicholas, Patrick and Lynette and great grandchildren. The family would like to thank everyone who sent messages of condolences.